A group of MTSU students decided to host an event to raise funds and awareness of Borderless Arts. The event is Monday, March 18 from 11am-9pm. 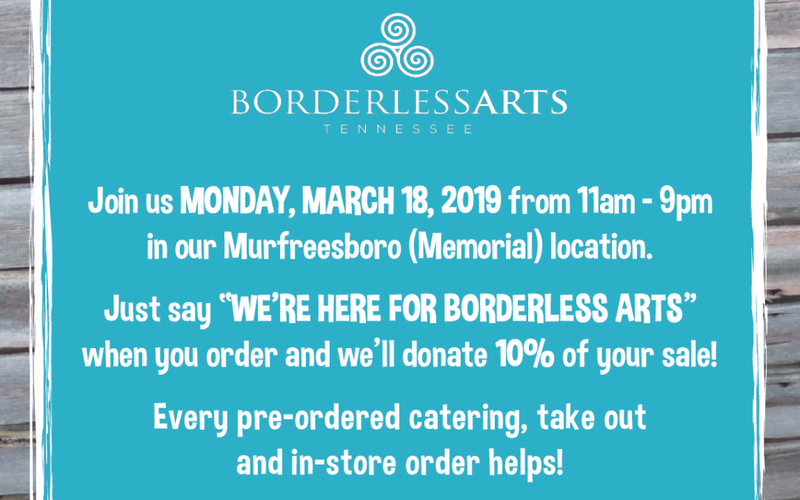 All you have to do is eat a meal at Blue Coast Burrito in Murfreesboro on that day and say “We’re Here For Borderless Arts”. The cool part of this offer is that you can come to MTSU at 4pm and hear Logan Blade in BDA 309 on that same day and then leave and gets something great to eat at Blue Coast Burrito. Hope to see you March 18!